Sold in stores online, smoke shops, head shops and in many areas across the US, kratom pills’ popularity have recently been rising in as a legal “natural high,” herbal remedy and sexual stimulant. As the DEA has not yet defined the legality of kratom pills, you may be wondering if this herbal drug is safe for human consumption. You ought to approach this drug with caution, as there is definitively little information known about the possible dangers of a prolonged use of kratom pills. Can a Drug Test Identify Use of Kratom? Are There Health Problems From Using Kratom? Kratom trees, the raw material for kratom pills, are found across Southeast Asia. Tree leaves of kratom are in local traditions known for producing stimulant effects of several varieties. The leaves can either chewed up or even brewed in tea. kratom pills when taken in low dosage, are said to enhance positive changes in moods, a relief from boredom, as well as increasing sexual arousal. When taken in this kind of traditional way, kratom behaves like caffeine or any other type of stimulants. Once kratom began being synthesized and transformed into forms of powder and pills, the effects of its high dosage became apparent in a more intensive way. While at low doses it may have mild effects, it’s more than just a stimulant, taking higher doses of kratom pills may lead to effects that are similarly more or less close to those one gets from sedatives and opioids. As a result, most individuals that have been struggling with addiction of opioid have started to take kratom pills as an opioid alternative. Moreover, some even use kratom pills to help in dealing with the symptoms of withdrawal caused by opioid drugs. Kratom pills may also lead to physical dependence, tolerance, and even addiction if they happen to be consumed regularly in high dosage. If Kratom is taken with a mixture of other drugs, the side effects could even be worse and even lead to more dangerous interactions caused by the reactions of different drugs. The potential risks and effects have not yet fully been understood due to insufficient research. With origins from Southeast Asia, Kratom is currently illegal in most countries in Southeast Asia. The arrival of this drug in Europe and North America is quite a recent event. Legislation of new drugs, as well as classification, take some time as they come into the market. In the year 2016, the DEA considered to classify kratom as a controlled substance in Schedule I, and declared that it has a possibility of being misused, addiction as well as dependence. The DEA additionally said that it doesn’t have any current application in clinical or medical use. This proposal was met with great opposition and this schedule was never successful. However, in most states the drug may have been scheduled at the local level or the sale of kratom pills may have been completely banned. The medical and scientific community has not yet reached any sort of consensus on how safe the drug is, or even placed in any kind of medicinal use. Moreover, lack of the drug being regulated and or even having any government institution to oversee its manufacture and also packaging makes it somehow unsafe for consumers. Kratom is known to be an addictive substance based on traditional usage by the natives in the past years in countries of Southeast Asia. The withdrawal effects of kratom are similar to the narcotic withdrawal effects. Behaviors of drug-seeking have also been seen in users of kratom in Southeast Asia. As a result, most countries in this continent have restricted people from using kratom due to a high potential for drug abuse. Due to the fact that kratom is a plant derivative, it shouldn’t lead consumers to believe that it is 100% safe and “all-natural”. Certainly, not all botanicals contain dangerous properties. But drugs that can cause dangerous effects may come from botanicals. For example, Cocaine (Coca leaves), Heroin (Opium poppy), and Nicotine (Tobacco). kratom is Currently not included in normal drug screens in the United States. The tests for screening are available but are not used widely. 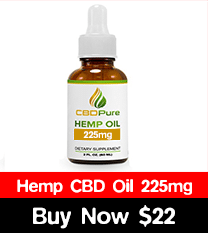 This is just considered as a herbal product currently being used to treat chronic pain, ease anxiety, and reverse withdrawal symptoms of opioids. The drug is often purchased through the Internet. It is also used for recreational purposes and is also being frequently used in coffee shops. The DEA has listed kratom as a chemical drug of concern. kratom is in the process of being evaluated for placement in controlled substances, but placing it in schedule I is actually categorizing it as marijuana, heroin, or LSD and this will definitely prevent medical research access. This is a concern to many consumers, experts, and other advocacy groups. The lack of standard scientific evidence is what confounds evaluating the safeness of kratom. There are also concerns that exist to the general public that they may be unable to confirm or identify the purity or quality of kratom from any source on the Internet. Consumers have been warned by FDA of using any products containing kratom. By February 2018, the FDA it had been reported of 44 deaths that have happened were linked with the use of kratom with other substances. consumers and professionals in healthcare should provide reports to the MedWatch FDA program of any adverse events that are linked to products with kratom. In Europe and the United States, the use of kratom appears to be expanding, and several recent reports have noted an increasing use by college students. The DEA has stated that surveys of drug abuse have not at all monitored use of kratom or abuse in the United States, and so the true demographic extent of kratom use, addiction, abuse, or toxicity has not yet been established. In Thailand, kratom is traditionally used for the treatment of opiate addiction. Opiate addiction is by far a widespread problem. Kratom is not just meant for people using opiate drugs illegally, but for those people who have prescriptions of opiate pain medications. It is unfortunate that people who often use opiate drugs on a daily basis usually become addicted. In most cases, most people don’t want to be addicted to these kinds of drugs and are always searching for ways to overcome these addictions. Most people have reported that kratom is quite effective in solving these problems. This is because it has alkaloids which act as opiate agonist receptors and can also be used for substituting opiate drugs, both for avoiding opiate withdrawals as well as a pain medication. After making a switch to kratom for some time, people usually say that they are in a better position to reduce and ultimately end their usage of kratom completely without any kind of suffering via hard opiate withdrawals. This provides a suggestion that though it contains receptor agonists for opiate, kratom pharmacology differs from that of opiate drugs in potentially important and useful way. Before you start using kratom for overcoming opiate addiction, it is a good idea to make discussions this with a physician who is open-minded. Chemical analysis of some kratom products has shown that adulterating with other substances happens. In some cases, kratom has been “cut” with cheaper herbs to reduce the cost of the seller and increase profits. Sometimes synthetic drugs are added to enhance the effects realized when one consumes kratom. In some worst cases, products are labeled as kratom extract or kratom, yet they do not contain any kratom in them, but other cheaper substances instead. It is very disturbing to know that some products that have been labeled as kratom extracts are found to be containing the “designer drug” known as O-desmethyltramadol. This is a synthetic and dangerous potent drug of an opioid. In most cases products that contain this compound have many times resulted to several deaths, the first having been reported in Sweden. Other kratom products have been detected to contain similar dangerous compounds. Further analysis has also found kratom laced with morphine and hydrocodone. Since these are compounds of opioid, the effects produced are not different to kratom, but it is obvious that they are far much dangerous (there is no single case where death is caused by kratom alone). It is obviously important to get kratom from a trusted source, preferably someone who does routine tests of kratom obtained from suppliers before selling it to other citizens. Kratom is a relatively safe and tremendously helpful herb. It is very sad that some merchants who are unscrupulous act so recklessly. It is very important to err on the cautious side. It is, therefore, recommended that within a week, people should only use Kratom once or twice, and most preferably a month, just once or twice. This ensures that Kratom will not make one form a habit. 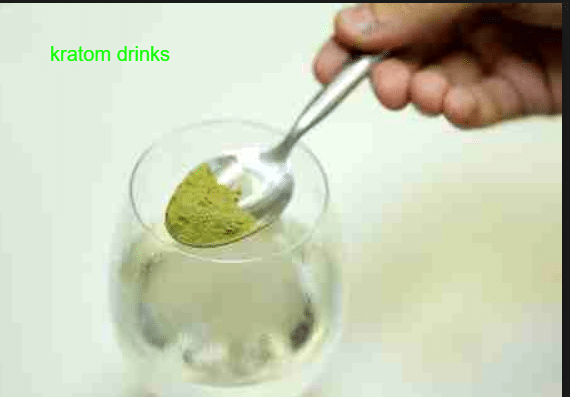 In simple terms, kratom should be given a reservation of a special, and Occasional treat. By using occasionally, habituation will be avoided and instead, you will derive more pleasure from it. It is unlikely to have health problems unless one consumes huge kratom quantities per day. There are places like Thailand where a few people use kratom on daily basis, and those who depend on it extensively may risk developing dark face pigmentation, weight loss, and may also experience physical symptoms of withdrawal quitting is done abruptly. Occasional users of kratom may experience health problems. Like any medicine or drug, reactions of people may vary and some may possibly experience allergic or some other unusual reactions to kratom, regardless of whether they utilize it responsibly. There exist many closely-related alkaloids of tryptamine in kratom, the most significant ones being 7-hydroxymitragynine and mitragynine. These are basically responsible for kratom’s effects such as those of relieving pain, sedation, euphoric, and stimulations. The alkaloids usually resemble the structure of yohimbine, but don’t demonstrate similar effects. They grow efficiently in humid environments. They don’t perform well in cold weather and they also don’t tolerate frost as well. Potted plants of kratom can be cultivated outdoors in moderate climate, warm weather conditions and then grown indoors afterward. In tropical climates, Kratom can be cultivated outdoors all year round. Potted kratom plants ought to be lightly fertilized frequently after few weeks when actively growing. The plants can also be propagated from stem cuttings. In summary, living with body pain is not easy. If you happen to live with pain, you may become too familiar with the effect it can impose on the quality of your life. Before you consider trying kratom pills, endeavor to first speak to your health care provider.